Setentia are an atmospheric death metal band from New Zealand. They write hard-hitting, complex songs where jagged melodies do battle with tremolo deluges on dissonant soundscapes. The band’s accomplished full-length debut, Darkness Transcend, intertwines gut-felt ferocity with forward-thinking expressiveness. And yes, with those creative hallmarks, Setentia have been compared to New Zealand’s much-lauded death metal behemoth Ulcerate, many times. That’s an understandable comparison to make. Sonic similarities aside, Setentia and Ulcerate have higher profiles than most other New Zealand death metal bands because they’re signed to international record labels (Finnish label Blood Music, in Setentia’s case). It almost feels compulsory to compare the two, but the reality is that Ulcerate are five increasingly acclaimed albums into their career, while Setentia are really only beginning their creative journey. There are plenty of other differences between the two bands besides, but with due respect to Setentia, the most obvious point of difference is that Ulcerate are simply unrivalled. That doesn’t mean Setentia are weak or flawed. 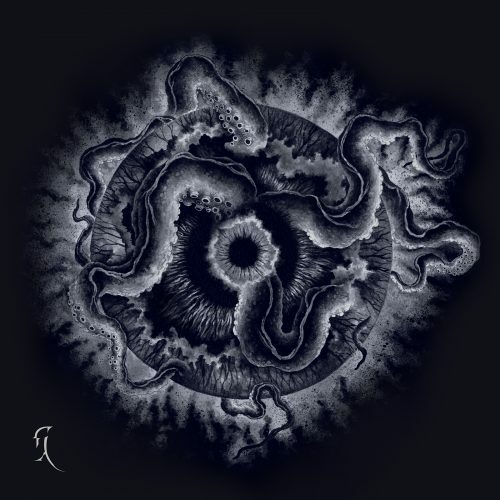 The band shares aesthetic characteristics with powerful outfits like Gorguts, Krallice, Zhrine, Dysrhythmia, Artificial Brain, Blut Aus Nord, and even Deathspell Omega. In fact, it’s not really musical comparisons that count in the end. It’s the type of band that Setentia are being compared to that matters. Because those aforementioned bands are all formidable and distinctive. Being compared to any one of them is a clear sign that Setentia have all the potential to carve out an equally unique and influential corner in metal. Darkness Transcend certainly suggests that an inspired creative future lies ahead for Setentia. And much of that promise hinges on the fact that they inject so much lifeblood and intensity into their technically detailed songs. We’ve all encountered maze-like music that’s proven to be monotonous because of its rote delivery –– i.e., it’s all technique, and no soul. Setentia have clearly taken note of that all-too-common crime, because their intricate songs are consistently animated. Certainly, some passages on Darkness Transcend’s lengthier tracks could have been trimmed; but that’s not uncommon on any tech-heavy album, debut or otherwise. The more important point is that Setentia always ensure that engaging dynamics sit at the forefront of their songs; thus avoiding any dull-eyed or dead-end riffs halting the flow. There’s no shortage of instrumental and songwriting prowess displayed on Darkness Transcend. You can hear that in the skillful way disparate styles of music are fused together on ferocious tracks like “Throne of Thorns” and “Beyond Myopic Blame”. Doom, drone, black metal, and post-metal coil around experimental death metal on those songs, and a less talented or more self-indulgent band could easily fail to bind those elements together. But Setentia arrange their songs with care. They combine a razor-sharp methodology with compositional maturity, and that highlights that they’re accomplished songwriters and musicians without any showboating. That said, Darkness Transcend isn’t devoid of theatrics. Setentia certainly understand the allure and exhilaration of dramatic music. That’s all there in the bone-chilling atmospherics, frenzied chords and percussion, and caustic howls on the album’s opening title track. That’s followed by abundant action and a rip-roaring momentum as Setentia traverses blast-beaten and elaborate musical terrain on the rest of the album. Hypnotic tracks like “Seeds of Death (Departure)” and “Seeds of Death (Remembrance)” feature blistering arpeggios and serpentine solos courtesy of Setentia’s three guitarists, Maxwell Gravelle, Cameron Thomson, and Jag Singh. Their six-string exploits shred the nerves with brutal intent and impact, and the driving bass of Adam King and pummeling percussion of Hugo Gravelle will test your mettle too. Jasper Russell-Dennis’ guttural vocals claw through the dissonant cacophony as well, transforming disorienting music into something even darker and more disturbing. Darkness Transcend was self-produced, and there’s plenty of palpable heaviness to the album. A tenebrous aura shrouds all too. But it would be great to hear what Setentia could achieve in terms of increasing the density of their sound further down the line. Darkness Transcend does have plenty of titanium-strength ideas to burn though. “The Enemy Within” and epic album closer “Fruit of Life” see squalls of crushing chords metamorphose into whirlwind melodies and harmonic solos. Organic phrasing weaves around machine-like bombardments on those tracks (and throughout the entire album), and that interplay between iron-clad and more sinuous music exploits the best elements from avant-garde and esoteric death metal. That’s a shrewd piece of rhythmic engineering. It highlights that Setentia’s strain of atmospheric death metal isn’t just about heavyweight riffs. 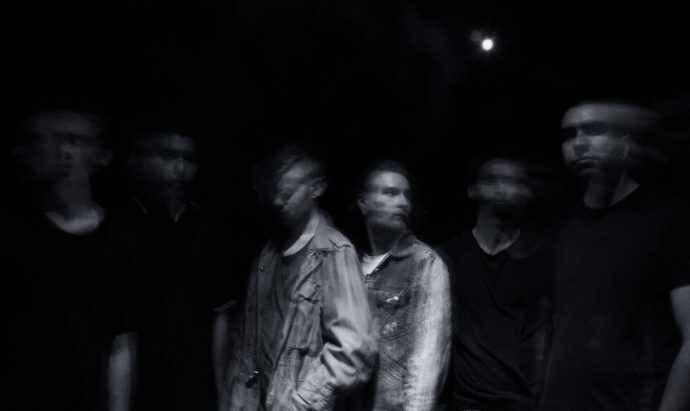 No question, there are abrasive guitars galore on Darkness Transcend, but by varying their creative palette, and increasing and then purging the tension on their tracks, Setentia hold the listener’s interest while establishing a more distinctive sound. Darkness Transcend is defined by enthralling, adaptive and high-powered music. Setentia play to their artistic strengths while remaining open to exploring possibilities, and it’s clear the band are fully equipped and capable of making indomitable music, just like those groups they’re often compared to. Darkness Transcend isn’t just an imaginative and impressive debut though. It’s also the first crucial step to Setentia fulfilling their true creative potential. I can’t wait to hear what the band come up with next. This is awsome! Can’t wait to hear the whole thing. Top-10 anyone? I realize this review is three weeks old, but I’m really happy to see this album getting the attention it deserves. I got turned onto it through starkweather’s Facebook page right when they had self-released it, and got it on Bandcamp right before it was taken down. I guess getting signed is a good thing, but I’ve been a little frustrated on their behalf that it was unavailable for so long. Ulcerate comparisons are apt, but I agree with the reviewer that they’ve put their own stamp on the textural, atmospheric DM sound. Picked this up recently and love it. Reminds me a little of Anata and Immolation with more atmosphere. Very groovy, blasting, complex, and HEAVY!